This October The London Olympia will be hosting the UK's leading Pregnancy and Parenting event of the year, The Baby Show with MadeForMums. 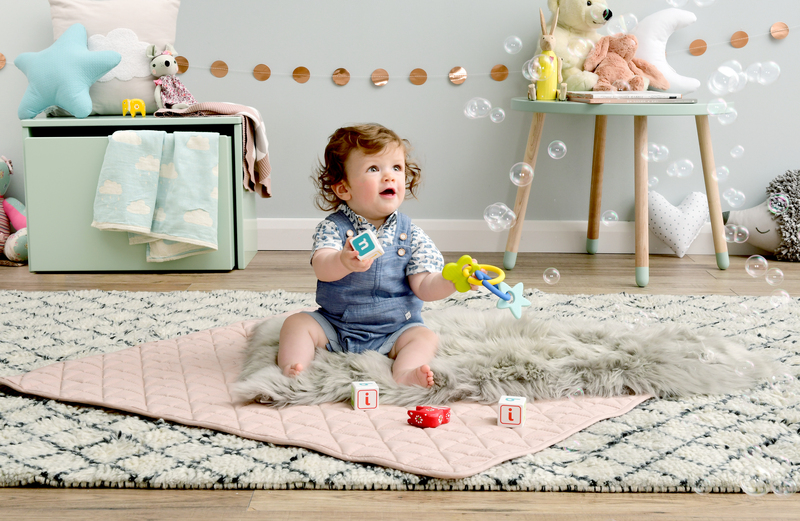 You won't want to miss out on this fantastic shopping experience!The Baby Show will be taking place from Friday 20th to Sunday 22nd October, at Olympia, London. You will be able to find everything you will need for your baby, your bump and you including amazing offers. It's all in one place for just three days. You will not only be able to see all the amazing products and brands but there will also be brand and product experts who will be available to tell you anything you need to know and answer questions you may have. You will be able to get hands on with brands and products too! Making The Baby Show a great place to find the products that will fit your needs best. The Baby Show has over 200 exhibitors who will all be showcasing their best and latest products for you. You will find brands like Mothercare, iCandy, Tommee Tippee, Peg Perego, VTech, Chicco, Stokke and Britax! That isn't even mentioning the independent brands which aren't available on the high street who will be there. There is a great service available for you to really enjoy the shopping experience without all the bags holding you back! You will be able to take advantage of the free Emma's Diary Collect-By-Car service which is where you can just drop of your purchases again and again until you have a carful. Not only will there be brands and experts available but The Baby Show with MadeForMums has an incredible line up of speakers who will be taking to The Baby Show Stage. These will include renowned experts from the world of birth, breastfeeding, sleep and nutrition. It really is a must-attend show for mums and dads-to-be, parents, friends and family members. As a mum of two children The Baby Show has always interested me, in fact I tried to find a venue here in Northern Ireland to attend. Sadly there isn't one. However we’ve team up with The Baby Show to give away two pairs of tickets worth £40 each! You can enter using the Gleam widget below by clicking the link below. Entry is strictly limited to one person per ticket code. The winner will be notified by email or phone call once the competition closes. Entrants will receive a ticket code which can be activated at http://www.thebabyshow.co.uk/. Tickets cannot be sold on to third parties. The Baby Show at Olympia, London is open from Friday 20th – Sunday 22nd October from 10am until 5.30pm each day. Standard on the door tickets are £20 and children under 14 go free! For more information please visit www.thebabyshow.co.uk. Awesome would love to go!